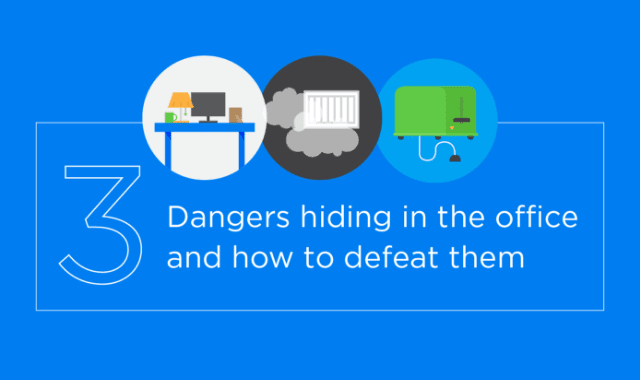 3 Dangers Hiding in the Office And How To Defeat Them #Infographic ~ Visualistan '+g+"
Are you feeling worn down and drained from your time in the office? That daily grind does more than exhaust your mental resources. It may also subject you to serious physical strain or hazardous conditions that are made more dangerous by the fact that you don’t realize them. Here are some hidden dangers to watch out for in your office so that you can stay healthy and happy at that desk.